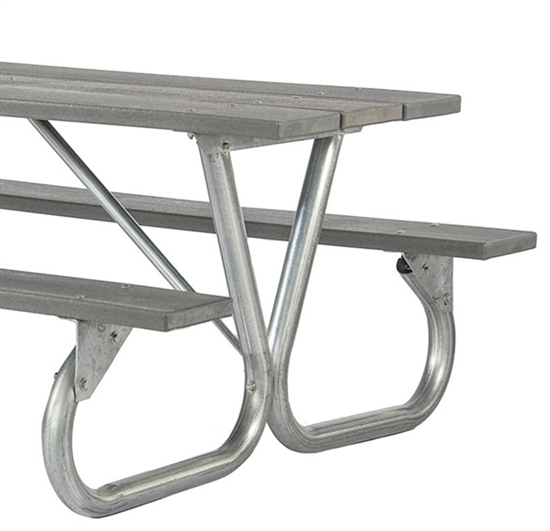 This picnic table frame only is made from bolted 2 3/8 inch high strength galvanized steel with 1 5/16" O.D. galvanized tube and seat brackets are 10 gauge galvanized steel. 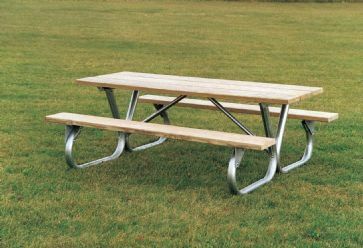 Available in 6 foot or 8 foot. Portable for convenience. 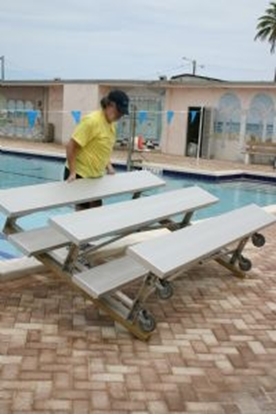 This frame set can be used with wooden, aluminum, or recycled plastic planks. Purchase as frame set only.